At present, La Union capitalizes on the great potential of both its agriculture and tourism. At present, the province confidently occupies its place as the “Surfing Capital of the North” as it draws an increasing number of tourists every year. In 2015, tourist arrival posted 392, 477 persons who stayed for an average of 1.3 days and an occupancy rate of 31.46 percent. In the agriculture sector, on the other hand, there is a stable and secure supply of food specifically meeting self-sufficiency levels on rice, corn, fish, livestock, fruits and fruit vegetables, root crops, and legumes. Other municipalities also have their unique agricultural products like sugar cane wine and vinegar, rice wine, native rice cakes, dried fish, honey and mushroom to tobacco, soft brooms, baskets, and wood crafts. According to their vision roadmap dubbed Transformative Governance Scorecard, several existing community-based and potential agri-tourism sites will be improved and clustered around tourism circuits (central, north and south). Marketing of investment potentials or opportunities for agri-tourism to attract investors will be intensified to enable the job generation and livelihood for self-reliance of the different sectors. Agri-prenuers and Micro, Small and Medium Enterprises (MSMEs) will be capacitated while critical tourism and agricultural infrastructure in the identified tourism circuits will be given priority. Among the existing agriculture-related-tourism sites in the province include the grape-picking in Bauang, the Halo-Halo de Iloko in San Fernando City for agri-gastronomy, the Pugo Adventure Trail for agri-recreation, San Juan Surfing for agri-sports, and Baluarte in Luna for ethnography. 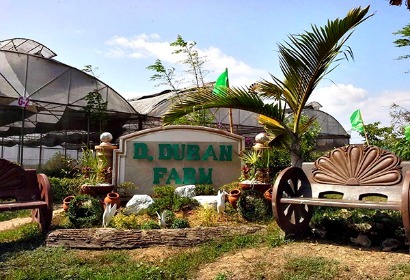 Meanwhile, other potential agri-tourism sites in La Union include mushroom culture and production in Agoo, basi- processing center in Naguilian, bamboo industry in barangay Abut in San Fernando City, Red Clay Pottery in San Juan, River Farm, Honeybee Center and the Sericulture Research and Developmnet Institute in Don Mariano Marcos Memorial State University in Bacnotan.